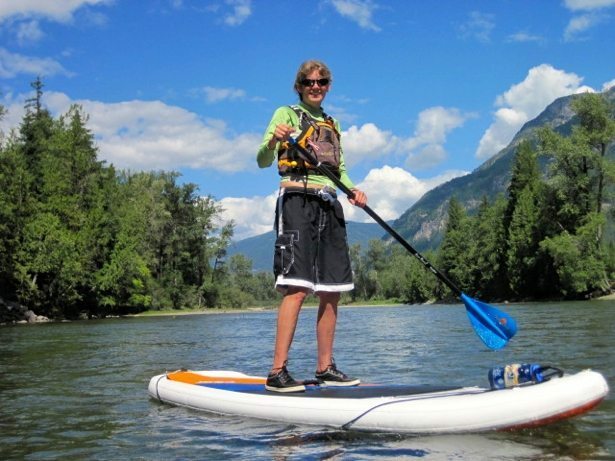 The Slocan Valley is a fabulous place to spend some (or all) of the summer. We found ourselves in this area last summer at the end of June and then again at the end of July – close to three weeks in total. 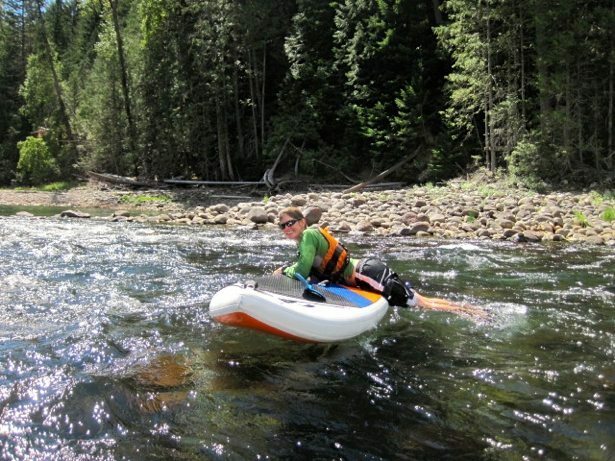 With day time high temps above 40c some days it was absolutely crucial to find ways to get out on the water! 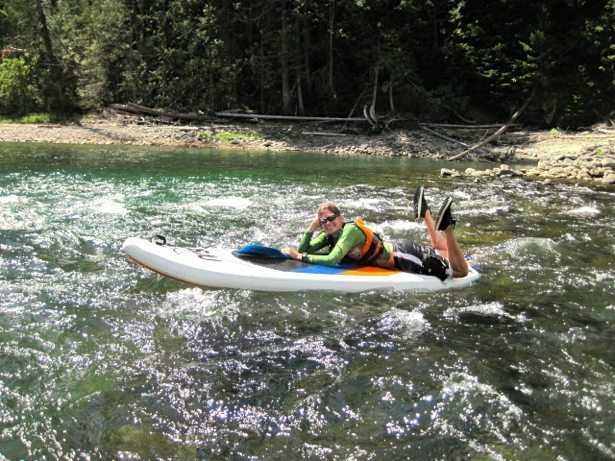 All of our adventures were based out of Endless Adventure’s home base in Crescent Valley where I had spent a week kayaking in 2014. 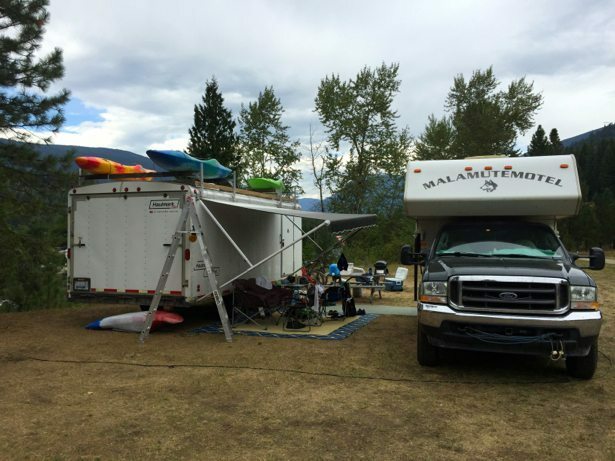 The camping is rustic but the location can’t be beat – just across the road from the lower Slocan River, and comes with internet and a wash house. After a whoops y daisy! With all the wacky river levels last year, we found the river quite low when we came through for our late July visit (definitely not the norm so don’t let that scare you off…). 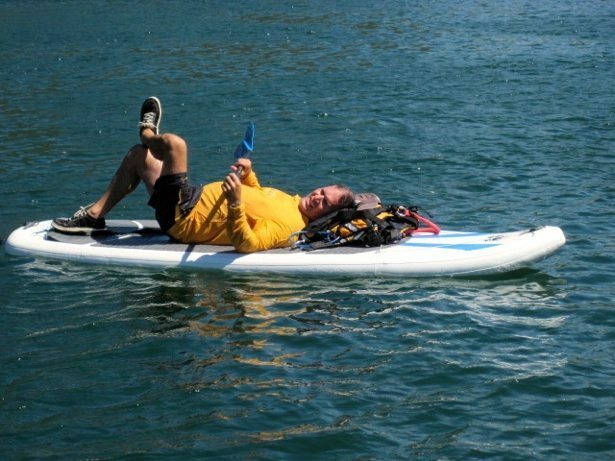 Instead of kayaking (which it is also great for – see our post from the kayak festival a the end of June) we opted to spend time out playing on our SUP. 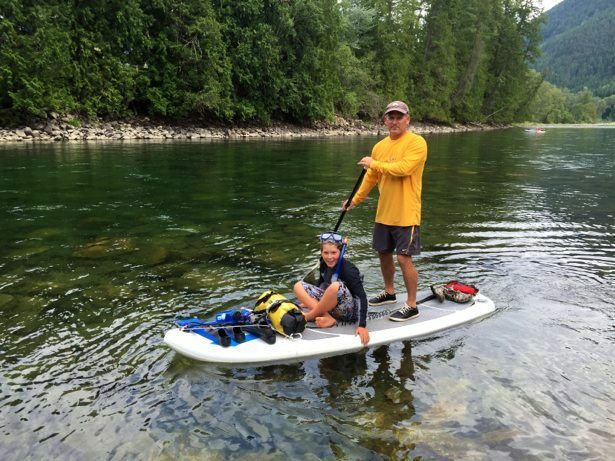 I think we ran the Upper Slocan three different times and it was fun every time – lots of easy current plus a few deep swimming holes to really cool off. 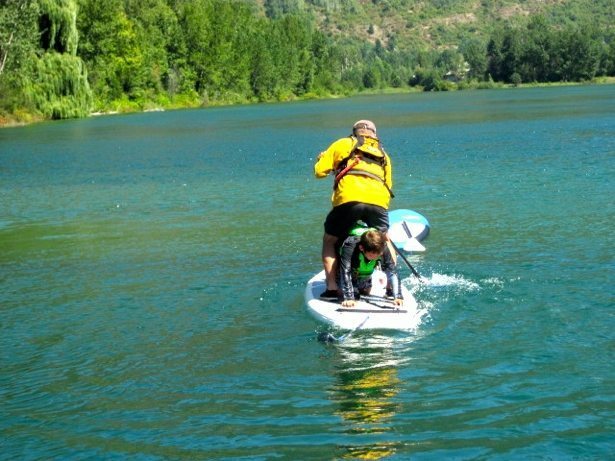 For our last trip down the boys decided to snorkel the river – that was definitely a work out but it was great to see Hunter so excited about something. It was a really fun afternoon – nothing beats being out or in the water! 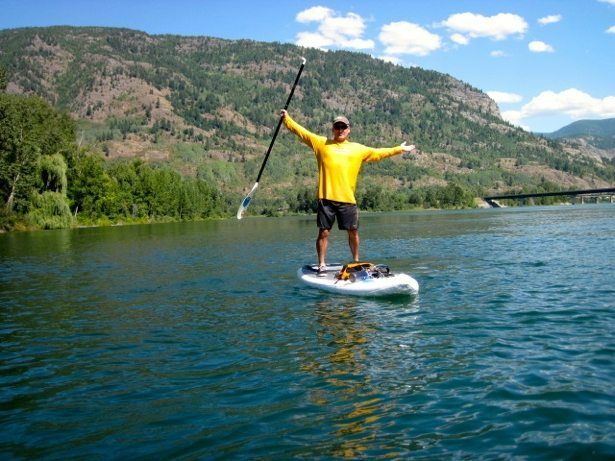 The other fun place to go SUPing is on the Columbia River near Robson Landing, just outside Castlegar. 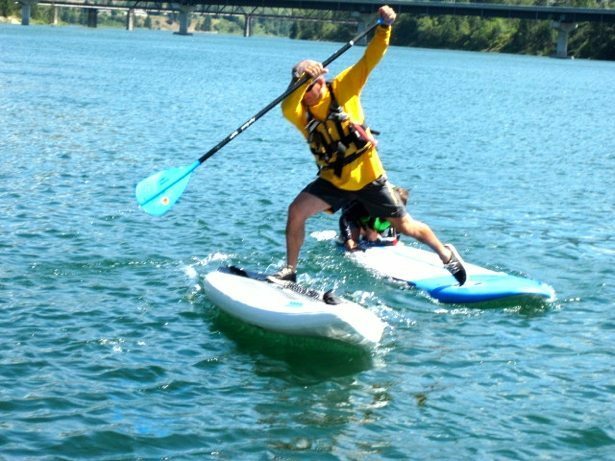 Endless Adventures runs SUP clinics here on a weekly basis and it has a great mix, from beginner to expert. 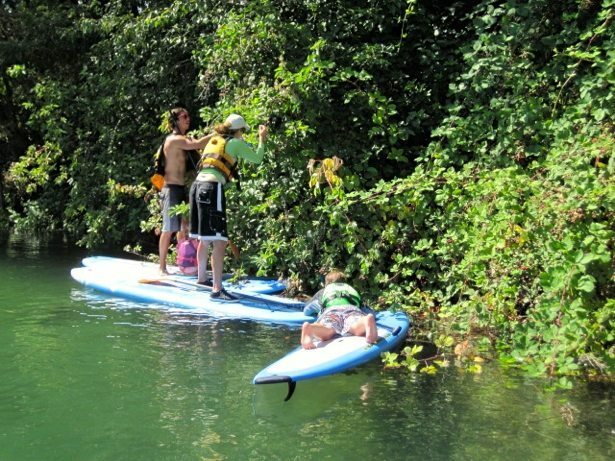 You can play in the big eddy, paddle upstream in a slight current or be bold and ferry across the river to the other side and then work on ferrying back across while also going upstream. 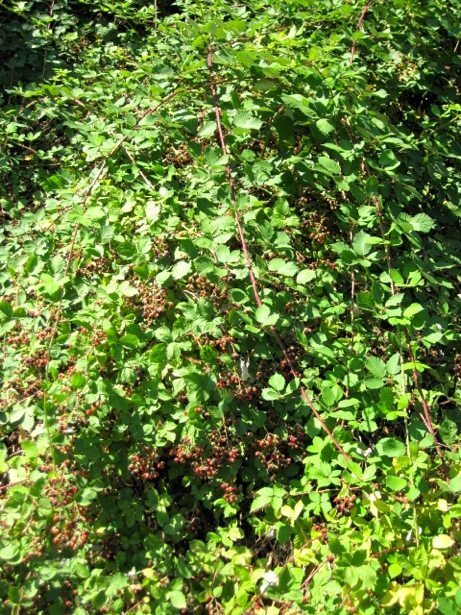 The reward for all that hard work was exclusive access to loads of riverside blackberry bushes, fresh for the picking at the end of July!